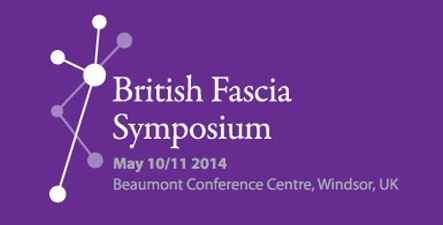 The first ever British Fascia Symposium will be held 10-11 May in Windsor, Berks. I have been invited to contribute a talk and a workshop on the dural fascia which I am delighted about! We will also have a stand there so will have the chance to meet and greet lots of the folk in the fascia world. Keynote speakers: Robert Schleip PhD, Leon Chaitow ND, DO. The first practice-led fascia conference in the UK; designed for the working therapist. Awareness of Fascia and the potential of fascial release work is spreading and this exciting event is designed to raise the awareness in Britain. If you would like to join us just go to the website www.fasciasymposium.co.uk for details of keynote addresses and the first confirmed speakers. To register your interest and receive notification when Early Bird booking starts, scroll to the bottom of the home page. Also join us on social media for regular updates on the Symposium and what's new in the world of Fascia. This Symposium will be of interest to all of us interested in fascia and the work and awareness that is going on in this field and the ways it is being applied. If you would like to join us there it would be great to see you.